This candy bar book makes a fun surprise for the recipient and is super fun for the giver to make! 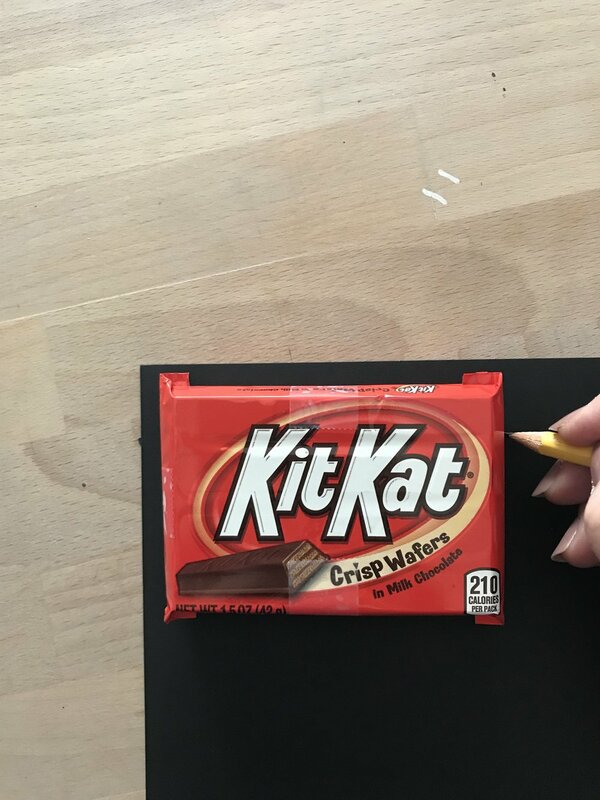 2 KIT KAT'S - TAPE - GOLD MARKER - PENCIL - SCISSORS - HOT GLUE & Your IMAGINATION. First tape the Kit Kat's together. I tape mine bottom to bottom. Then I mark the edge of the candy bars on the card stock and then roll the candy bar on the card stock and then mark the long edge. 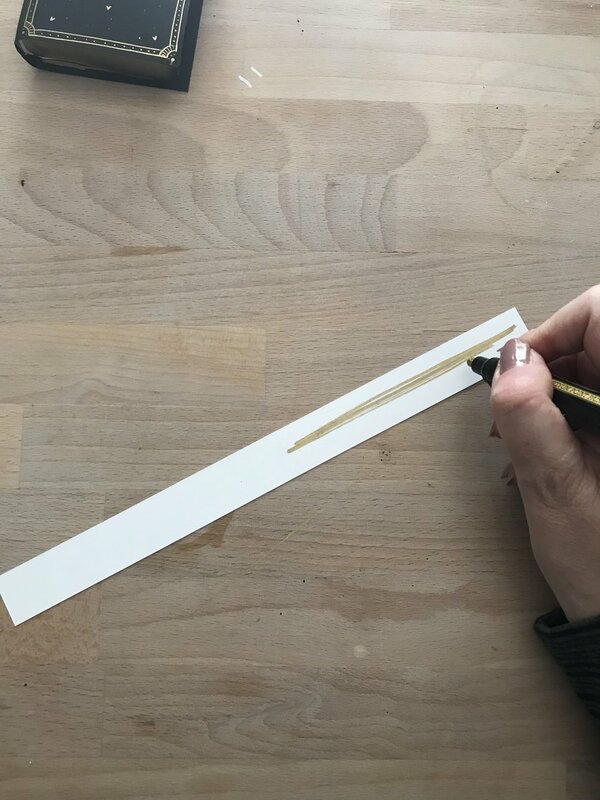 Connect your lines and follow with your scissors. You can use a ruler to get exact measurements before cutting if you like. 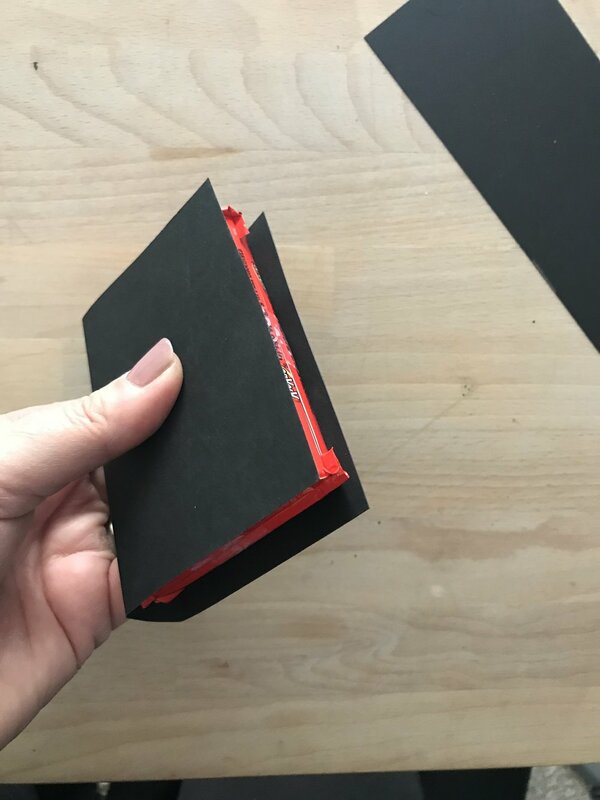 Then wrap the cut card stock around the candy and take your fingers and run along what will be the spine of the book to lightly crease the paper. This will serve as a guide for your illustrations. Next is the fun part. Creating your book jacket! Sketch your ideas out on a black piece of paper to finalize your ideas before heading to the card stock. 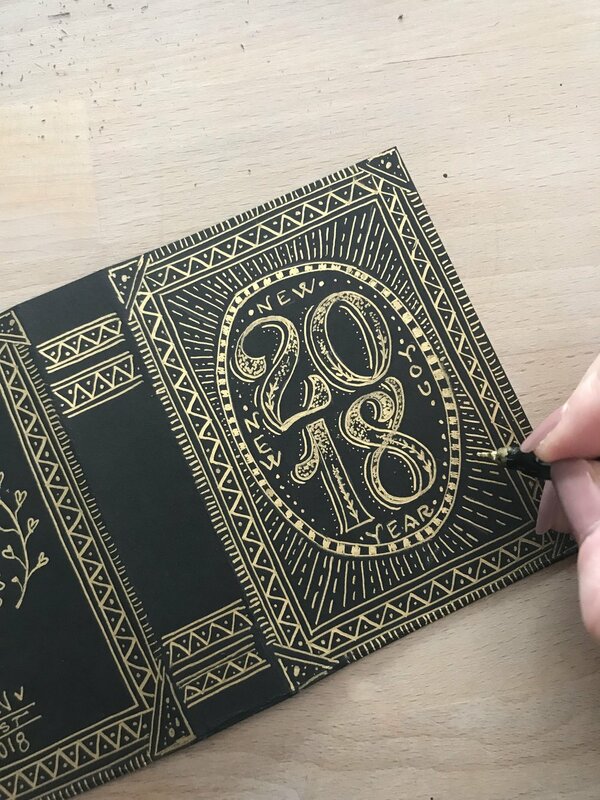 You can use a pencil to lightly sketch your idea onto your card stock and trace over it with your gold pen if you like. Once you have completed your book jacket it's now time to create the pages of the book. 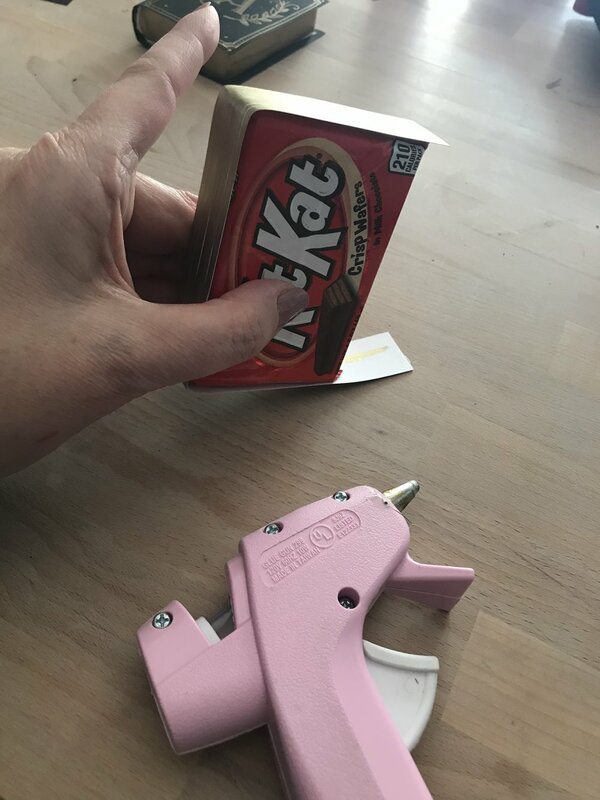 I use the same rolling method to get the length of the edges of the Kit Kat's and then cut them out of white card stock. 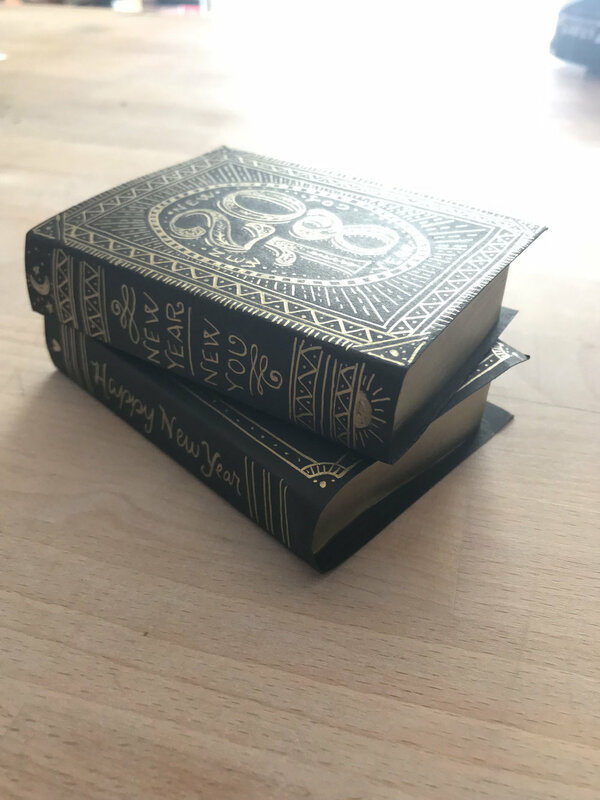 You can use the black card stock if you want for this step but I found using white card stock gave a more realistic look to the pages when you leave some white showing through the gold. 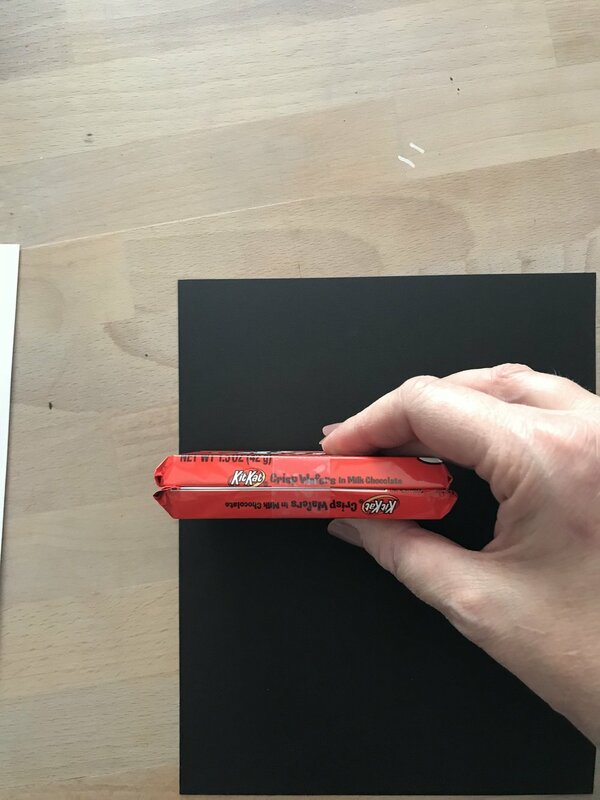 Color the strip of paper and hot glue it to the edges of the candy. Don't worry about overage you will cut the excess off. I round mine so they look similar to how the pages of a book attach to the spine. 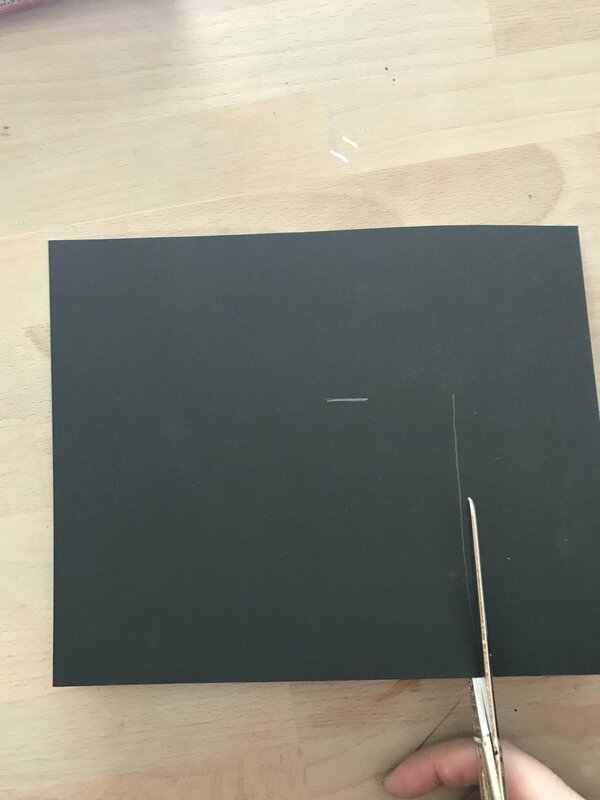 Lastly, add some hot glue to one side of the Kit Kat and carefully place it on the inside back page of the book jacket. Once you have it placed repeat this step. Close the cover and hold for a few seconds to allow the glue to cool and harden. And that's it! You're done!